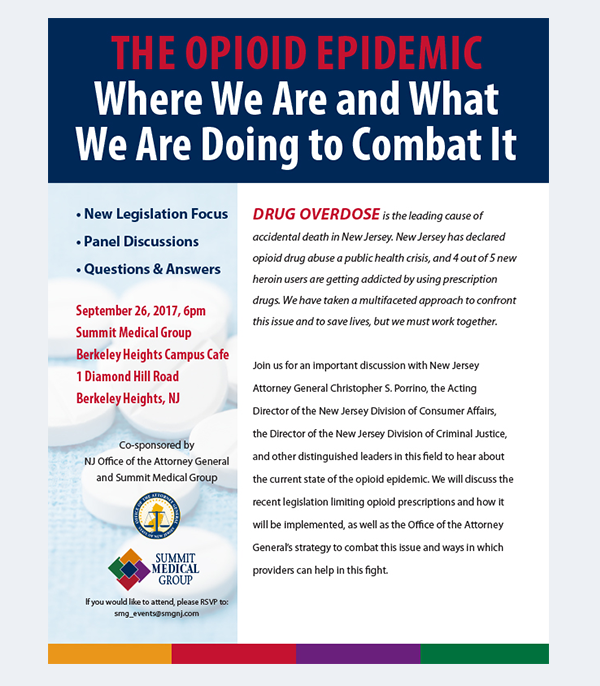 Summit Medical Group is grappling with the opioid crisis as are many medical practices around the country. They hosted and sponsored an event with local government to discuss the issue. Then we created a card to reflect the look of the invite. This front and back card was put in the brochure holders in many of the SMG doctors’ offices to increase awareness for patients. 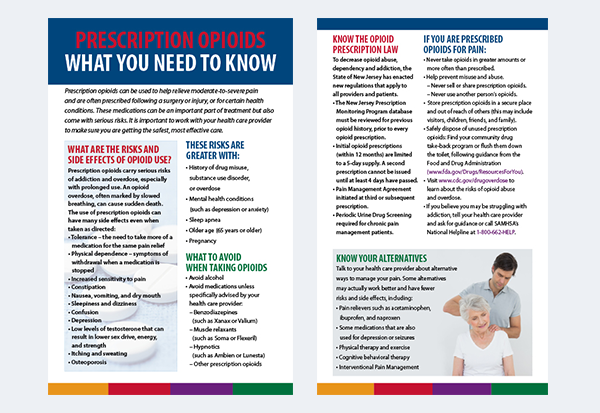 It included topics such as: what to avoid if you are prescribed opioids, what are the risks and side effects, and what are some of the alternatives to opioids. The idea was to be easy-to-read, informational and brightly colored to attract the attention of their patients. SMG is developing materials to help doctors deal with this ongoing problem.